I'm always looking for fun, hands-on ways to practice pre-writing lines. 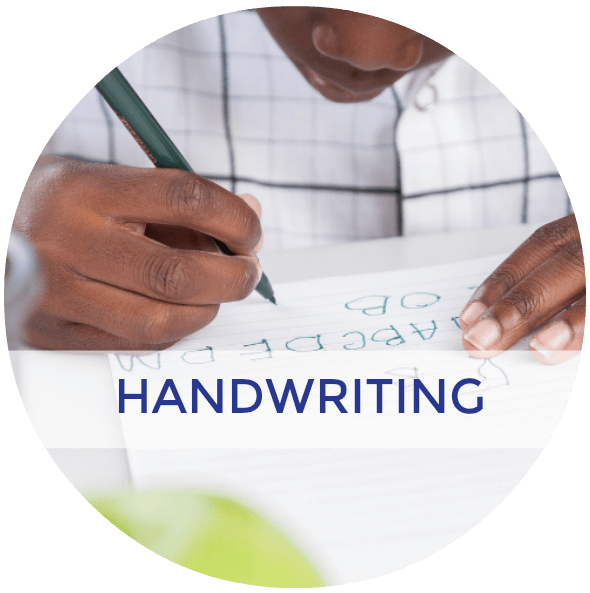 Pre-writing lines are important building blocks for any preschooler to master before learning letter formations. 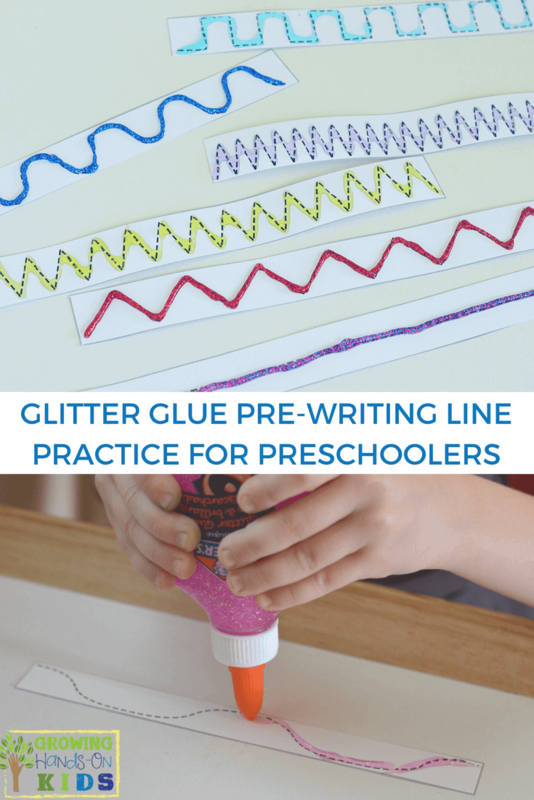 This glitter glue pre-writing line practice for preschoolers activity helps to facilitate so many amazing skills your child needs. 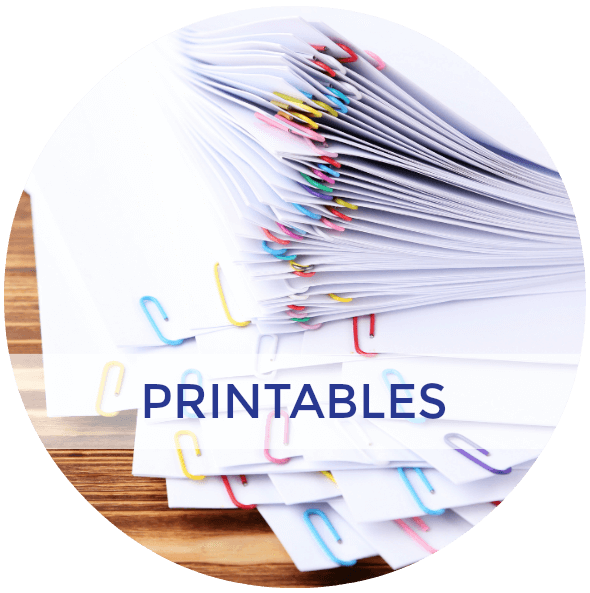 Print out the free pre-writing practice cards download above. It's best to print on thick card stock so the paper holds up with the glue. 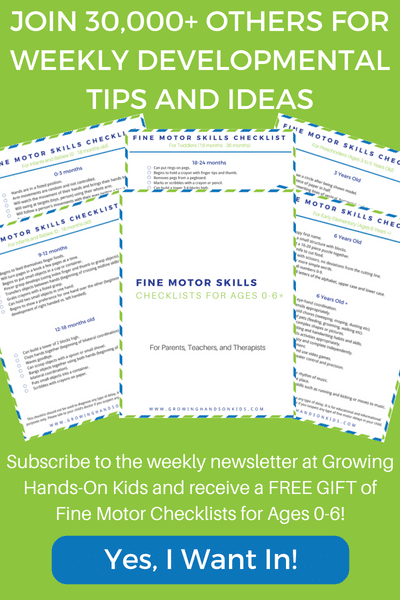 Have your preschooler practice cutting by cutting out all the cards with their safety scissors. 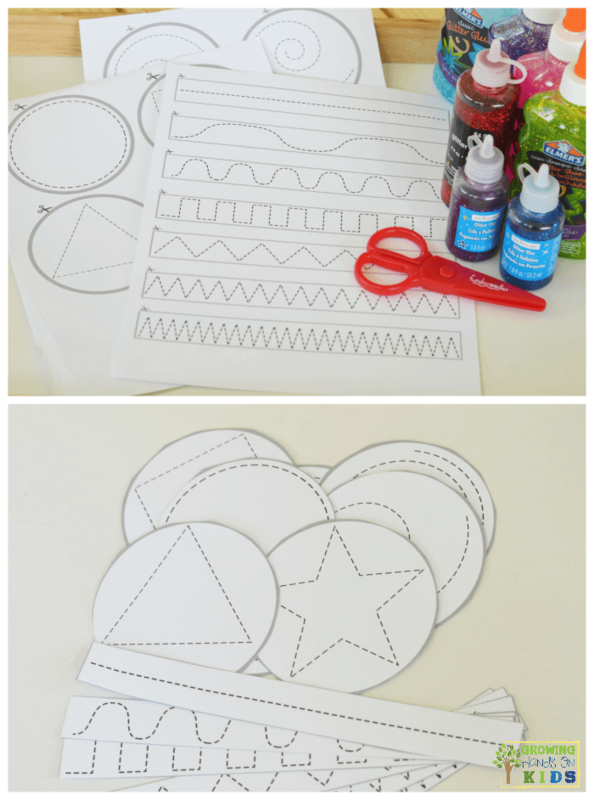 Pick out what colors and kind of glitter glue you would like to use. The craft glitter glue is darker and thicker and fills out the cards nicely. However, it is harder to squeeze for little hands (I even struggled a few times). 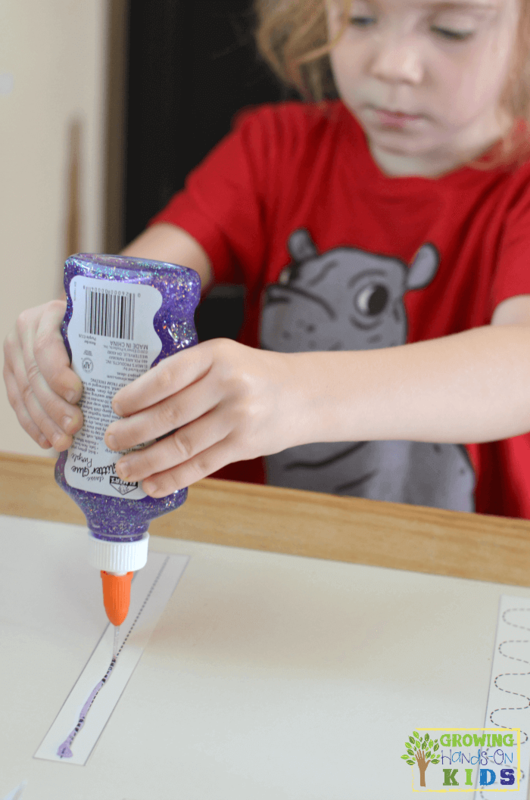 Elmer's glitter glue is going to be easier for little hands to squeeze out, but it is also see through, so you will still see the lines behind the glue. 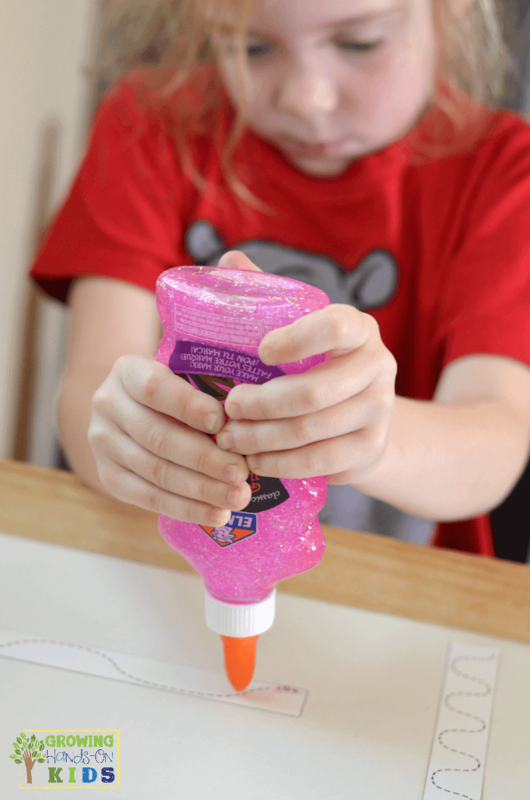 If you have a child who can squeeze out Elmer's glue with no problems, then I would move on to the craft glitter glue bottles. 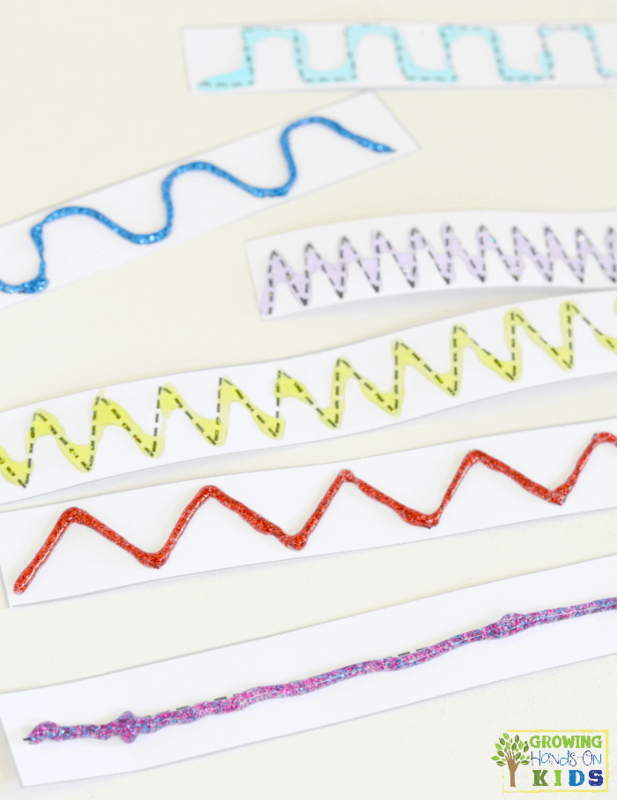 After you have chosen your glue and colors, start with the simpler lines (straight line and wave lines) and begin to squeeze the glue out on to the lines. 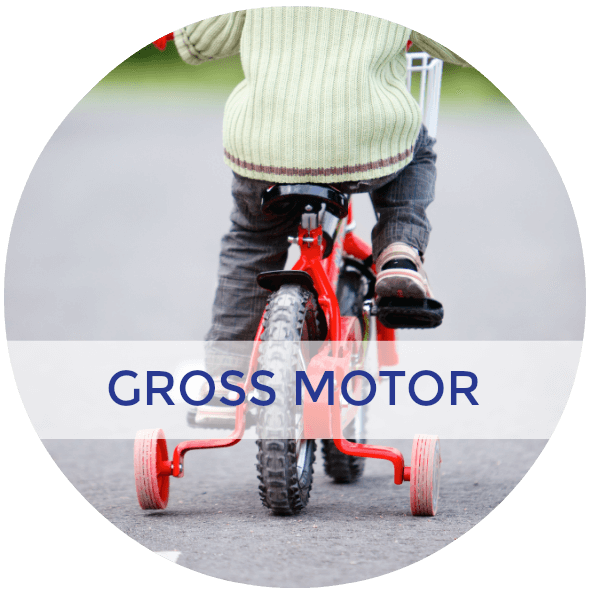 See how long and far your child can squeeze before needing to let go of the bottle. Once all the lines are covered, let the glue dry. I put ours outside on an activity tray so they would dry even faster. It is best to let they dry over-night before trying to touch or trace the lines. 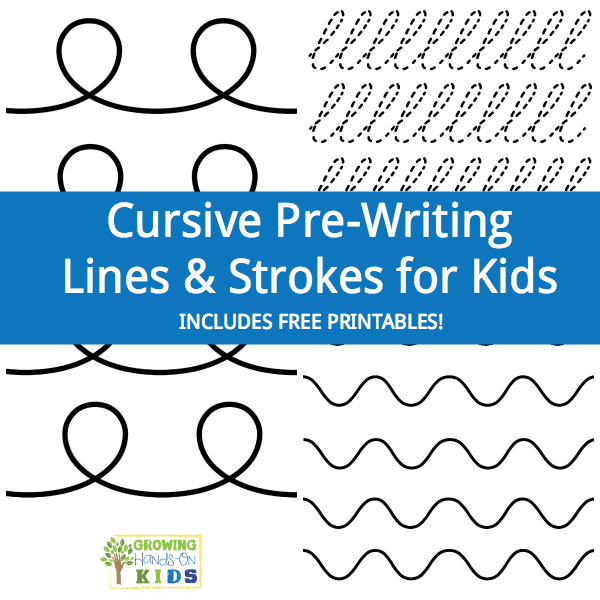 After the glue has dried, your child can practice tracing the lines with their finger. 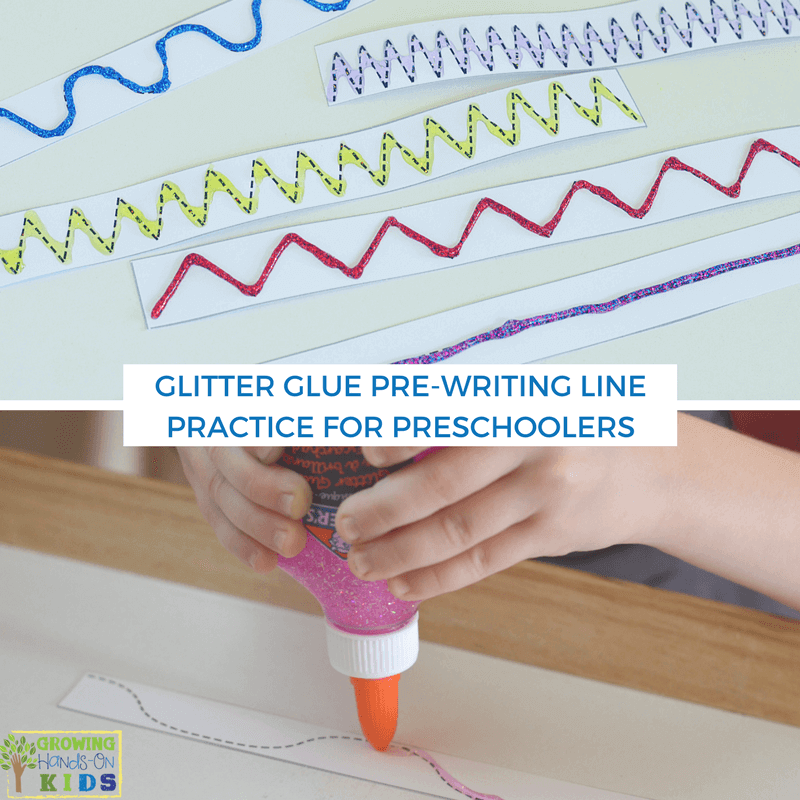 The glitter glue adds some sensory input so they can tell where the lines are with their fingers, as well as their eyes. 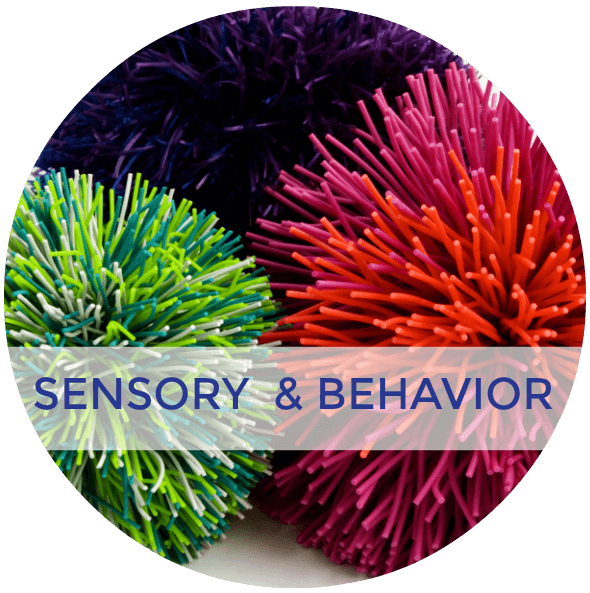 This increases the tactile sensory input. Squeezing the glitter glue bottles works on hand grasp strength. Grading of strength needed in the hands and arms in order to squeeze the glue out (how much pressure do I need to apply in order to get the response I want?). 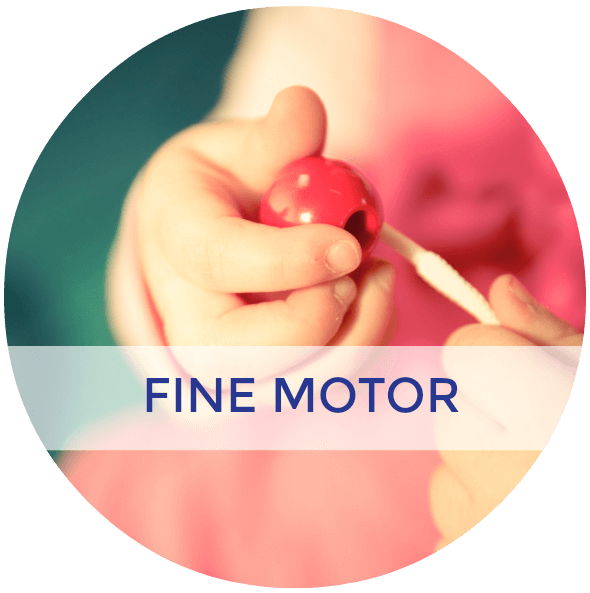 Visual-motor skills including eye-hand coordination and visual scanning. 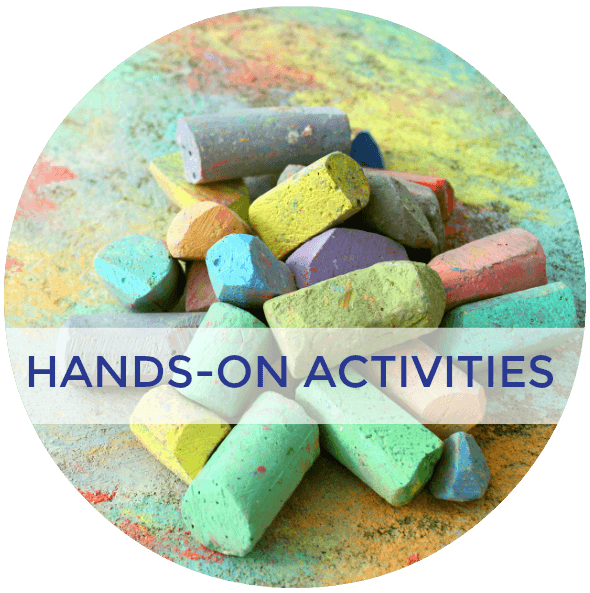 Bilateral Coordination – using both hands to squeeze the bottle, or using one hand to stabilize the paper while the other hand squeezes. 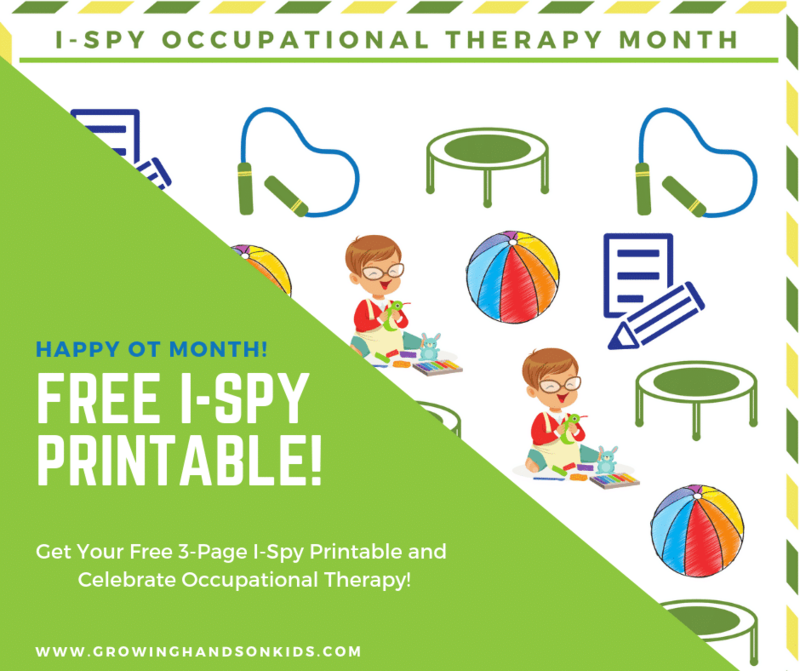 These are just a few great benefits your child will be working on with this fun, hands-on way to practice pre-writing lines for preschoolers. If you have already subscribed, don't worry, you won't be subscribing again! By entering your email below, this lets my email provider know which printable to send you. You will not receive duplicate emails from me! Do you want more ideas like this one? 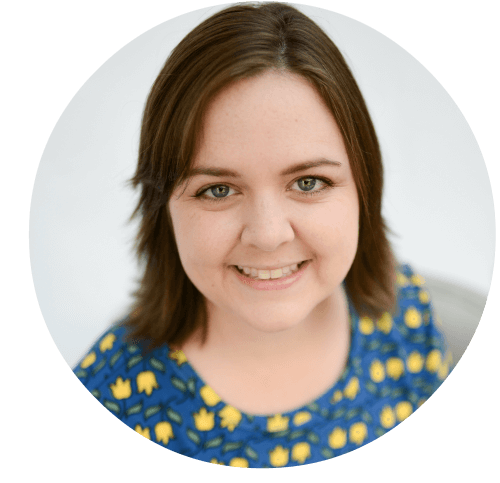 Check out my resources below.